What do you say to parents who just had a child with Down syndrome? You can say almost anything, but the only bad word you can say is “Sorry”. This video showcases the parents of the adult actors who were featured in the Anything But Sorry campaign. They share their personal thoughts and experiences on why sorry is a bad word. When a baby is born with Down syndrome, instead of being showered with the oohs, aahs and congratulations parents are often met with “Sorry.” This is the last thing a new parent wants to hear. This is a time to celebrate, so say anything but sorry. 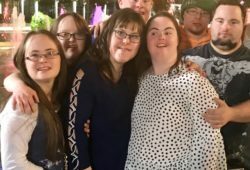 No new baby should be welcomed with “Sorry.” The Blacklock family discusses how hearing those words can be devastating, but a Down syndrome determination doesn’t define a child. No new baby should be welcomed with “Sorry”. The Alvaro family talks about how a lack of education and misinformation from their doctor implies that Julian is suffering, but he’s far from suffering. No new baby should be welcomed with “Sorry.” Hear the Tarr family talk about how those words impacted them and how they overcame them with support from their family. 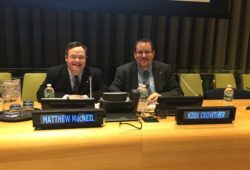 What can we say to everyone who helped share our message for Canadian Down Syndrome Week? It’s “Thank you”! We have developed a package for new parents that is informative, welcoming and positive. This year alone 9,363 babies were born with Down syndrome in North America. 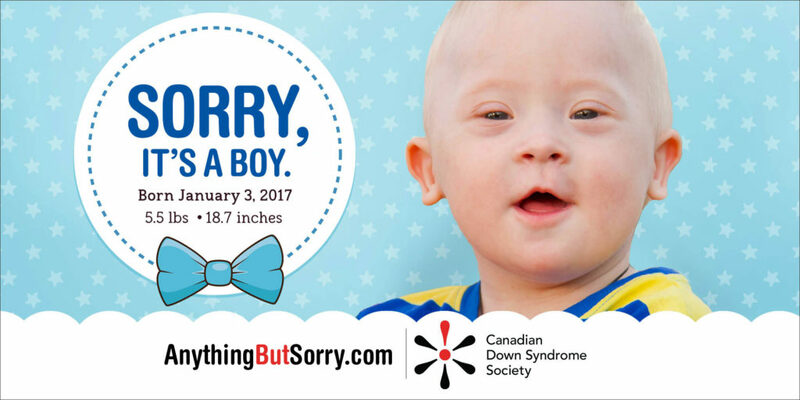 In Canada it is estimated that 500 babies will be born with Down syndrome this year. Not only do we want to ensure that each baby is welcomed properly, but we want to share our New Parent Package with each of these families.